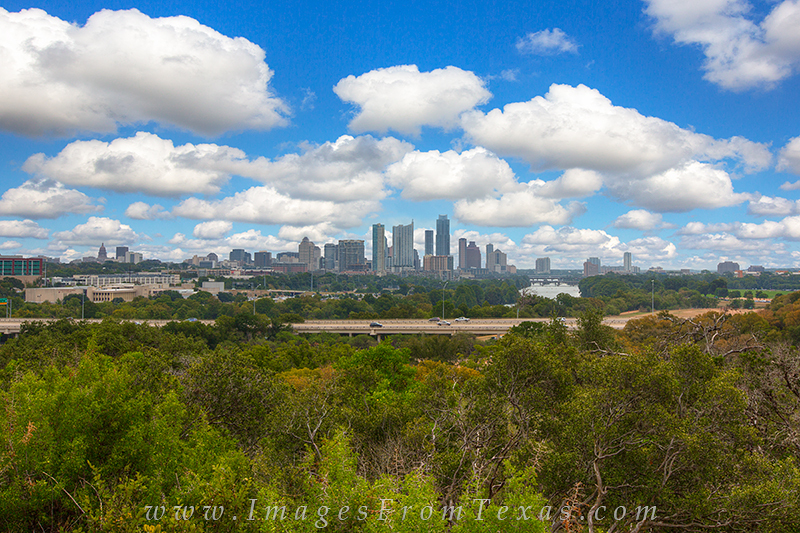 From a high point in the Hike and Bike Trail that surrounds Lady Bird Lake and where rises to the Zilker Clubhouse, this is the grand view of downtown Austin, Texas, that you can enjoy. This image of our capitol city was taken on a September afternoon. Photo © copyright by Rob Greebon.